Unless you have carriage style doors on your garage, which are hinged like any regular door, your garage door will open and close by rolling up and down. 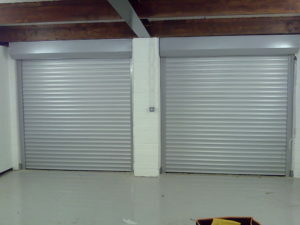 The rollers that your door runs on are guided by two tracks which run from floor to ceiling and continue horizontally parallel to the garage ceiling. You will notice that there is one garage door track on each side of the doorway. If you notice any of these problems and discover that a track has become misaligned, you can quite easily realign it yourself. Sometimes you may have to realign both of the tracks. This guide will help you with some simple steps to get the job done. 1. Using a screwdriver, loosen the screws which hold the tracks in the garage door frame. 2. Now you can align the track so it is perfectly vertical by tapping it at the bottom with a rubber mallet. Use a spirit level to identify when the track is back in vertical alignment. 3. Retighten the screws and repeat the process for the opposite garage door track if necessary. 1. First you will need to loosen the bolts securing each track to its lower track brackets. Be sure to loosen the bolts on both tracks before proceeding with the next steps. 2. Now you will need to move one of the tracks right or left until there is a uniform gap of around a quarter of an inch between the door and the stop molding. 3. Go to the opposite track and repeat the process in step 2. 4. Finally, retighten the track bolts, making sure you get them nice and tight. At the same time, be careful not to over-tighten them. 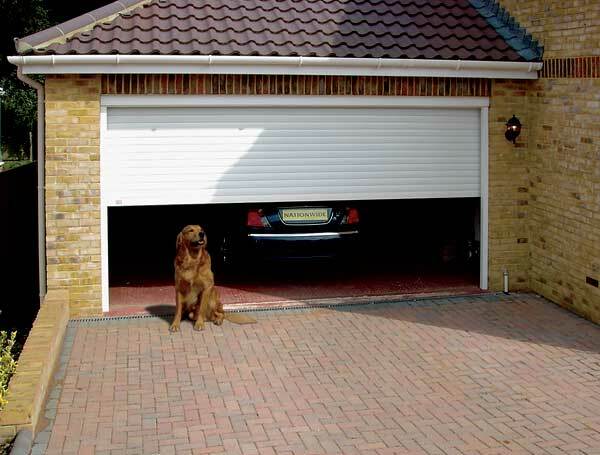 You should now find that your garage door is running freely and not rubbing or binding. If you should suffer any complications while trying to align either garage door track, you can always call in a professional garage door maintenance provider to resolve the problem. 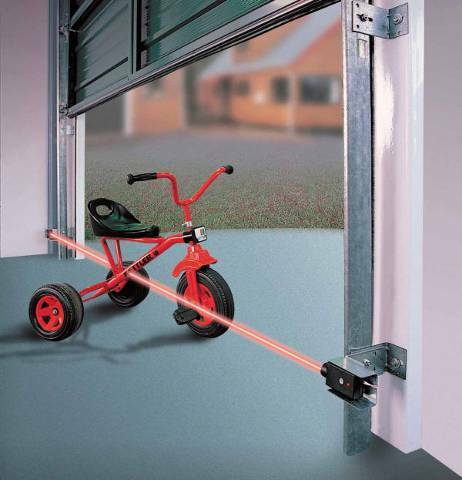 An aluminum garage door can generally be counted on to require little maintenance – until that is, it gets a ding from the kids’ basketball or similar projectile. So when your offspring approach you with that guilty “there’s something we must tell you” look, it could be that they’ve just put a dent in your otherwise pristine aluminum garage door. If this should happen to you, don’t despair. A new aluminum garage door is not on the cards just yet. There is actually a rather ingenious way that you can remove the dent in your door, as long as it’s not too large. You’ll need a few tools and items in order to carry out this fix, which uses a process of heat and cold to pop the dent out like a charm. Now you have your materials to hand, follow the next seven steps to remove the dent in your aluminum garage door. 1. Fill the bucket with water and add some dishwashing detergent. 2. Use the sponge with the water and detergent to wash the dented area of the door thoroughly. 3. Dry the washed area of the door. 4. Take a sheet of foil which covers an area slightly larger than the dent. Hold the foil sheet against the dent. You only need to secure the foil by holding it at one corner. 5. Using your heat source, apply heat to the foil over the dent. Moving the heat source uniformly over the dented area keep heat applied for about one minute. 6. Now remove the foil and quickly begin to blast the dent with compressed air from your can or compressor. Keep the compressed air trained on the dented area for at least 30 seconds. 7. At some point while you are applying the compressed air, the dent should suddenly pop out, returning your aluminum garage door to the same good condition it was in before the basketball or similar accident occurred. The other way to remove a small dent from your garage door is a little less scientific. You can use a rubber mallet, or a hammer with a block of wood to transfer the force. Just tap away at the dent from the inside of the door. Make sure to keep hitting different areas of the dent and gradually the aluminum material will flatten back to the same level as the rest of the door. Don’t use a heavy impact, fairly gentle taps will suffice. Never use a regular hammer without a block of wood – You’re more likely to create further dents than to fix the problem. Finally, if the dent is very large or you just don’t feel comfortable trying to remove it yourself, a garage door installation and repair service will be able to do the job for you, for a fee, of course. A tired paint job can be depressing to look at and doesn’t do a great job at keeping your sectional garage door protected from the elements. 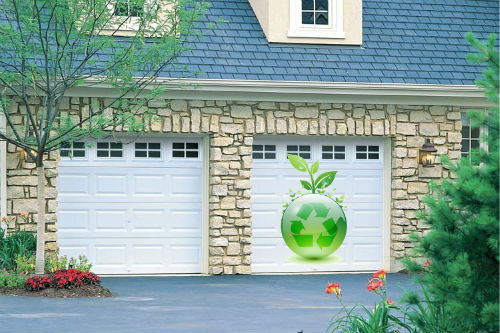 The good news is that repainting your garage door can be a quick and easy DIY project. The following guidance will help you to repaint your door the right way, making it a painless task and saving you from a paint-splashed driveway. If you have an automatic door opener, disengage the door opener so you can open and close your door manually. Once you have done that, just follow the next steps. 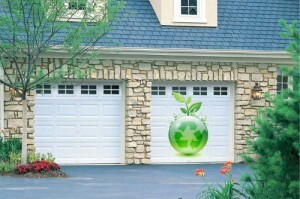 1) First get rid of any oxidized paint, cobwebs, dust and dirt from your overhead garage door. The quickest way to do this is to go over the whole door with a sanding block. After giving the door a light sanding, use your old paintbrush or a rag to remove any loose dust from the door surfaces. 2) With the door partially raised, place the drop cloth on the ground across the threshold to protect your garage floor and driveway from paint splashes. 3) Open the can of paint and use the stick to give it a thorough stir. Then pour around a quart of paint into your work bucket. 4) Begin painting the door at the bottom. Apply the paint to the bottom most section only and don’t paint the gasket on the bottom of the door unless it has been previously painted. Paint this section with the door partially raised so you don’t have to stoop down. 5) Paint as far into the extreme ends of the door section as you can. You will get paint onto the surrounding door trim but that doesn’t matter, since you will be painting the trim later. It will be easier to paint the extreme panel ends if you raise the section all the way to the top of the door opening and use a step stool to stand on. This is where the tracks force the section back from the door edges to you have more space to get your brush in and paint. 6) While you have the door section at the top of the opening, the top edge of the panel you have painted and the bottom edge of the next section will be exposed. Now is the time to paint these edges. 7) After completing the bottom section, repeat the process for the rest of the panels. You will need to use your step stool for the higher sections. After you finish painting the top section, check the entire door for any paint runs or drips. 8) Finally, paint the trim around the top and side door edges. You can choose to paint this trim the same color as the door or use a different color if you prefer. If you think your sectional garage door needs a second coat of paint you can apply it the same day once the first coat is thoroughly dry. Alternatively just wait for the next day with good weather for outside painting. Most householders are aware of the need to keep garage doors and door openers lubricated. 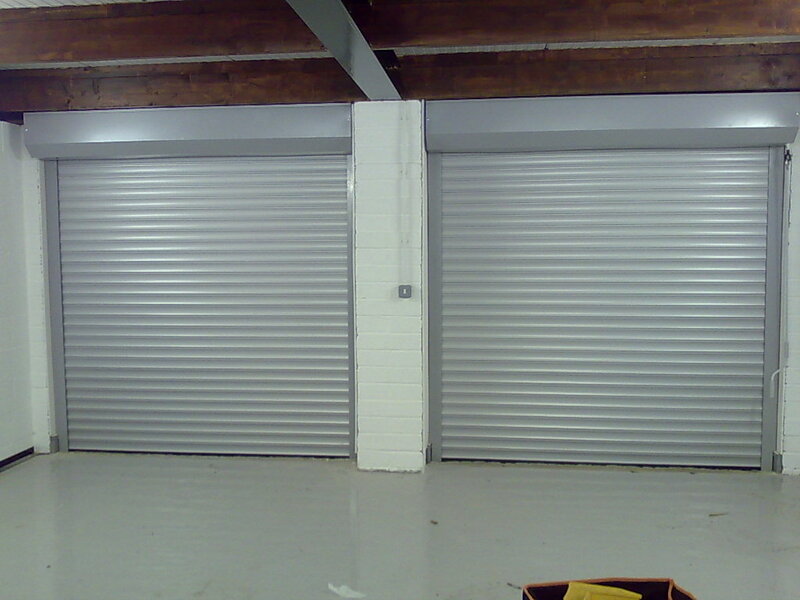 However all too often the poor garage door gets a dose of the wrong lubrication, or is over or under-lubricated. Garage door lubrication isn’t an art form, but there are ways to get it right and of course to get it wrong. If you really want to extend the life of your garage door and door opener, follow this simple guidance and learn how to lubricate your door and opener effectively. If there is one golden rule to follow when it comes to garage door lubrication, it’s this – Keep away from the WD-40. While some people like to believe WD-40 can cure all ills and is the perfect cleaning agent and lubricant for every application, that’s really not the case. WD-40 is actually a solvent and when you apply it to the moving parts of your garage door and opener, it will break down any good grease that’s already present and then it will dry out, creating more friction than existed before it was applied. Furthermore, once applied, WD-40 actually attracts dust and dirt. Heavy-duty silicone spay is a far better product if you really want to use a general lubricant for all parts of your door and opener: The thicker the better. Thicker silicone spray lubricants remain effective for a long time once applied. You can use this type of lubricant on your garage door and opener every six months if your door sees a lot of use; otherwise once a year will be fine. When you come to grease the opener rail of your garage door, there is a second golden rule to follow. You actually just need to remember one word – Moderation. If you over-grease the rail, you will end up with a streak of grease down the outside of your garage door. Even worse, if you actually use your garage to store your car, the grease will drip onto the vehicle. Over-greasing garage door opener rails is a common mistake, but now you know, it needn’t be one that you make. All your opener rail really needs is a light greasing from end to end. After greasing, use your controller to open and close the door a few times. As you do this, the opener trolley will plough up the excessive grease, so you’ll need to clean this off the trolley. Another common mistake people make is lubricating the tracks of the garage door. This is entirely unnecessary and does nothing for your garage door. It’s only the stem each door roller that needs some lubrication. Just use a heavy silicone spray lubricant on the roller stems and try to spray it well into the hinges where the roller stems are held. This will keep the rollers turning freely. Greasing the rollers and the track is the equivalent of putting grease on car tires and on the road – A pointless exercise. That’s really all there is to the art of garage door lubrication. If you remember the word “moderation” and leave the WD 40 in the can, you’ll be able to keep your door running smoothly and noiselessly – Hopefully for decades.